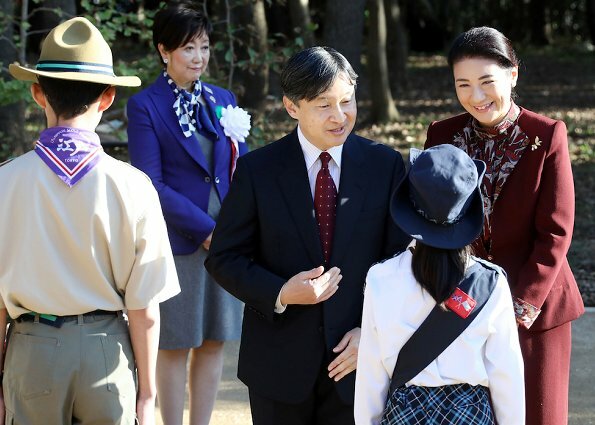 On November 17, 2018, Crown Prince Naruhito and Crown Princess Masako attended the 42nd Zenkoku Ikujusai (National Arboriculture Festival) at Sea Forest Park in Tokyo. 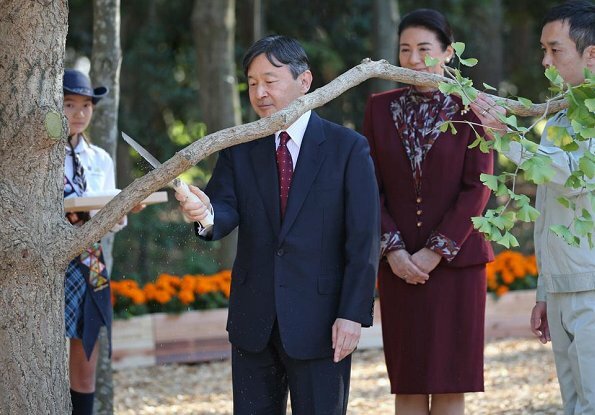 The event aims to make people understand the importance of growing healthy forests and handing down these healthy forests to the next generations. 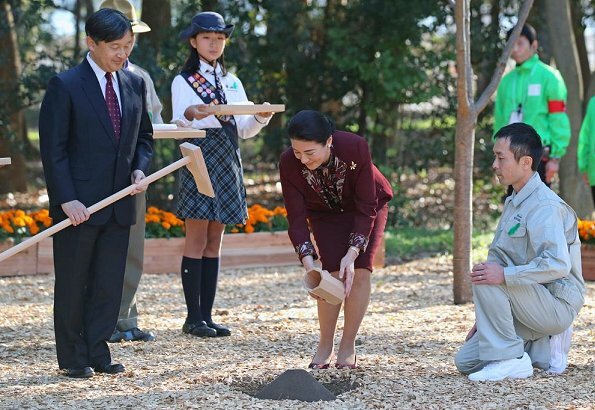 During the event, the Crown Prince and the Crown Princess pruned the trees which were planted by Emperor Akihito and Empress Michiko in 1996, and gave fertilizer to those trees. 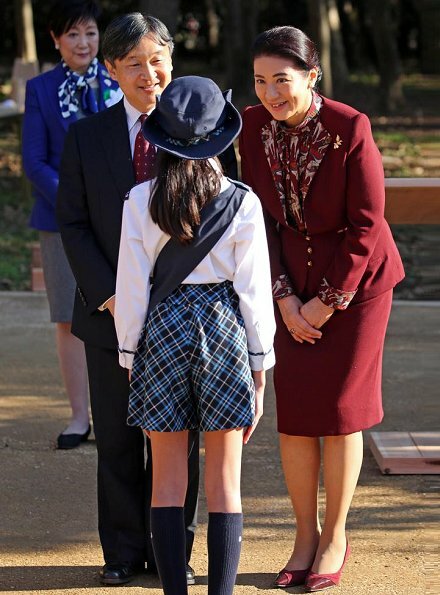 Lovely look for CP Masako. Grt colour for her. Nice to see the future Empress more often now. This suit looks very nice on her. Lovely color. 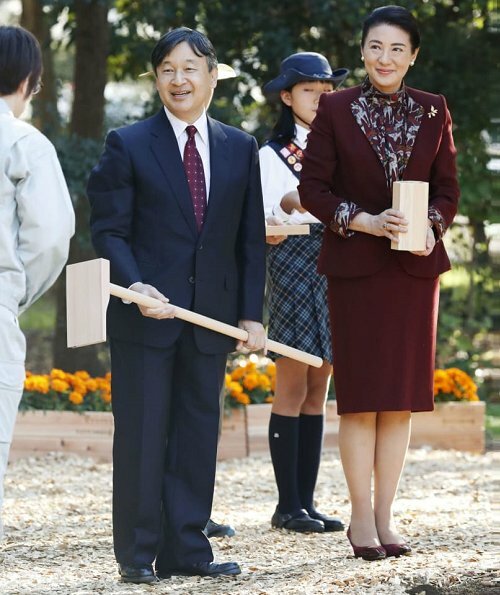 Masako's suit has a more modern look than usual. Very nice. 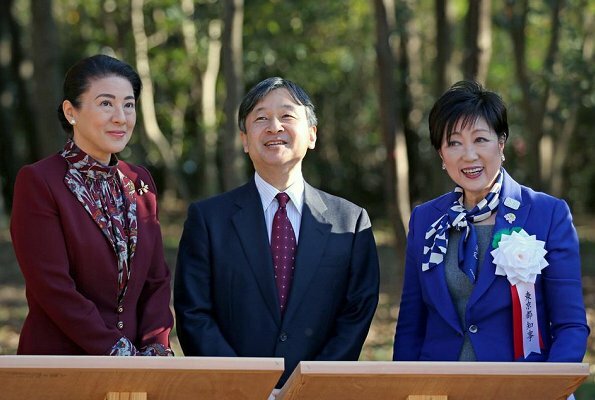 Masako looks great these days,she seems to have blossomed and perhaps the pressure is off of her now that she will be Empress.